Is Your Health At Risk With The Food Safety Modernization Act? There is not much time, and I highly encourage you all to act now because Senate Bill S.510 will go to vote by the Senate on November 29, 2010. Please start immediately, and go research Senate bill S.510, also commonly referred to as The Food Safety Modernization Act. Since the main objective of ThePionnerWay.com is to promote awareness rather than propaganda, I will try to differentiate myself from most of the other sites reporting on this issue and let you all form your own opinions. What is the purpose of The Food Safety Modernization Act? What is the Tester-Hagan amendment that is now attached to Senate bill S.510? The Tester-Hagan amendment is an amendment to Senate bill S.510 that would provide an exemption to small producers, allowing them to continue to be regulated at the state and local level. I’m not a farmer, so how does The Food Safety Modernization Act affect me? You do not need to be a farmer in in order to be affected by The Food Safety Modernization Act. The Food Safety Modernization Act (Senate bill S.510) affects everyone that eats food. 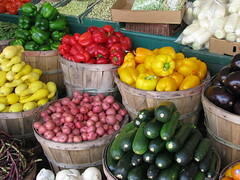 Many opponents believe that this bill will create hardship for small farms and local gardeners, in turn, impeeding your ability to sell and/or purchase fresh food from local farmers markets. Ok, so where can I learn more about Senate bill S.510 and the Tester-Hagan amendment? You can get a condensed summary of S.510 from Senate.gov, or you can download a PDF version of The Food Safety Modernization Act from The Library of Congress. You can also download the Tester-Hagan amendment from Senate.gov. There is also a nice little debate about The Food Safety Modernization Act at grist.org that presents some good arguments for both opponents and proponents alike. If any of this has you thinking, there are also a ton of highly opinionated articles about this much controversial topic. Just search for “Food Safety Modernization Act”, within your search engine of choice, and start reading. Ok, so what can I do if I oppose Senate bill S.510? Also, you can opt to protest Senate bill S.510 with the following process. Go to Congress.org and type in your zip code in the box in the upper right hand corner. Click on your Senator’s name, and then on the contact tab for their phone number. You can also call the Capitol Switchboard and ask to be directly connected to your Senator’s office: 202-224-3121. Once connected ask to speak to the legislative staff person responsible for agriculture. If unavailable, leave a voice mail message and be sure to include your name and phone number. So what’s your opinion, do you support The Food Safety Modernization Act? Wait, What’s Wrong With My Seeds? This entry was posted in Farming, Food, Gardening, Organic Food, Sustainable Living and tagged Food And Drug Administration, Food Safety, Foodborne illness, Sustainable Living by Todd Bryan. Bookmark the permalink. The Senate passed the Food Safety Modernization Act with a 73-25 vote this morning. S.510, the food safety bill, was revived late Sunday and passed unanimously just before the Senate adjourned for the day. With the Tester amendment intact, the bill goes back to the House and could be on President Obama’s desk before Christmas.